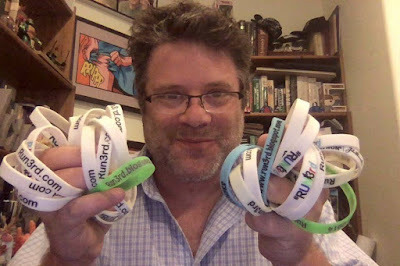 Here is a stack of #Run3rd Wristbands that are always on my shelf. Probably should be on people's wrists, I'll get to that. My temporary #Run3rd tattoo wore off. It was a little too big, but I miss seeing it every day. Perhaps I shall order more—where did I put that info? Hmmm, oh well, after a wildly cogent if not succinctly rambling post on the Run3rd FB page earlier, I thought I'd share a little of the #Run3rd panache. 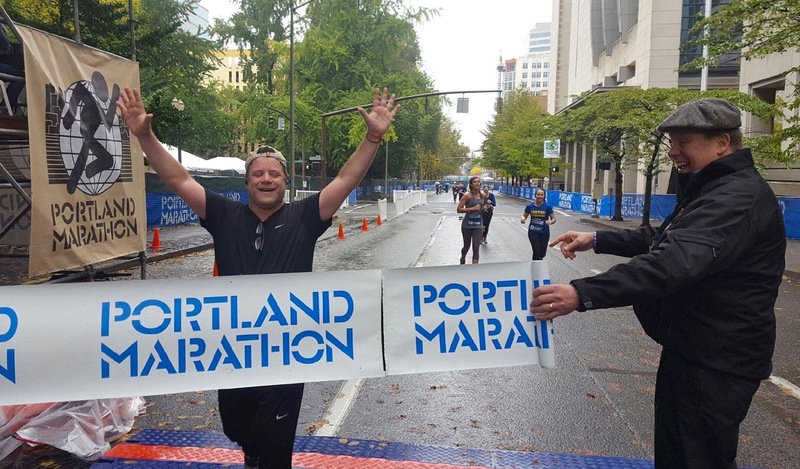 Finished my 12th full Marathon. The weather in Portland was Perfectly Portland...Rainy and Chilly with occasional Wind. Loved it!!! It was no surprise that the #Run3rd 5k was once again such a huge success! As I stood on the field on race day just as the sun came up, it was clear that #Run3rd was no longer just an idea. 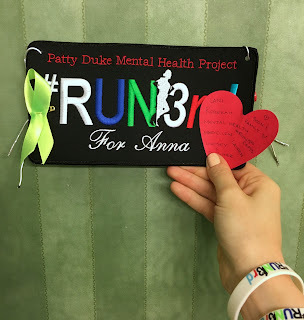 #Run3rd had become a living, growing, breathing thing, flourishing with every step and dedication. Hundreds of people of all ages traveled from miles around to the 2nd Annual #Run3rd 5k. Inspiration and dedications were everywhere! The #Run3rd message was ringing out loud and clear, from the very first runner to the final finisher! It was such an honor to be even a small part of such an incredibly special day. No sleep, two overnight shifts at work and quite a few hours of driving… #RUN3RD 5K, LETS DO THIS!!! We arrived a day early to help with packet pickup, which is one of my favorite parts! It's wonderful meeting the participants, especially the younger ones who have so much enthusiasm when sharing the message of #Run3rd! I met some incredible pint-sized athletes as well as heard stories of how they encouraged their parents to run, or people that have lost large amounts of weight because they started running. I could make this whole report about them, just know they are amazing humans and I’m so lucky to have been able to chat with them for a few moments while grabbing their race bib. Brandy & Gabriel Placencia at finish line! 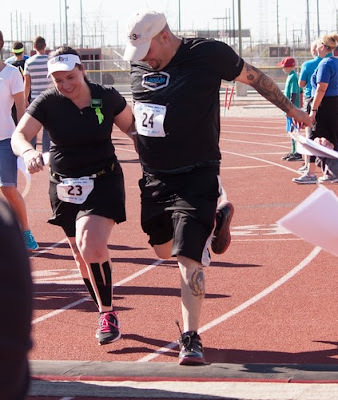 I almost didn’t go to the 2nd #run3rd 5k in Arizona. I was extremely burnt out from Girl Scouts and just did not have much energy. When I heard of Anna "Patty Duke" Pearce’s passing I knew I needed to be there. She meant so much to all of us. I have been a fan of hers for as long as I can remember and read her book “Call Me Anna” a few times. Suffering from Severe Social Anxiety that also causes bouts of depression, her book helped me feel like I wasn’t alone back before the explosion on the internet. After getting to Mesa and seeing everyone, I was so happy that I had made the trip. This was the first time getting to see the other #run3rd Captains that I didn’t have an anxiety attack. I am so happy that my sister Cheyanne got me into this a few years back. Race morning was perfect weather although I would have preferred some clouds to block the sun. We were pleasantly surprised when we saw that our fearless leader Sean Astin had made it to the race that morning. After a bunch of picture taking and a speech from Sean, the race was on. I wasn’t quite sure what to expect since last year I had walked the entire race with my sister, but I had brought my Jeff Galloway Run/Walk timer, and with the flat course was excited to get a good time. Unfortunately, thanks to 3 months of Girl Scout Cookie Hell, lack of training and a higher altitude than I’m used to, I felt exhausted from the start. In the last mile I almost quit to a slow walk when I realized I was actually about to catch up with Sean so I pushed harder. I finished with a time of 45:49 which wasn’t my best but also wasn’t my worst. Overall even though it was the worst I felt during a race, I had a great time and look forward to the next one. Any time I take a moment to reflect on our 2nd annual #RUN3rd 5k, I am overwhelmed by feelings of gratitude, love and pride. When we decided to make this an annual event, I was worried about how our 2nd year would compare to the first. There were so many special things about the inaugural event that we wouldn't be able to duplicate or compare to. We knew our challenge this year would be to keep the momentum going and grow our local #RUN3rd community with the help of our amazing Captains and Loyals from around the world. The sun was up the sky was blue the drive was long. 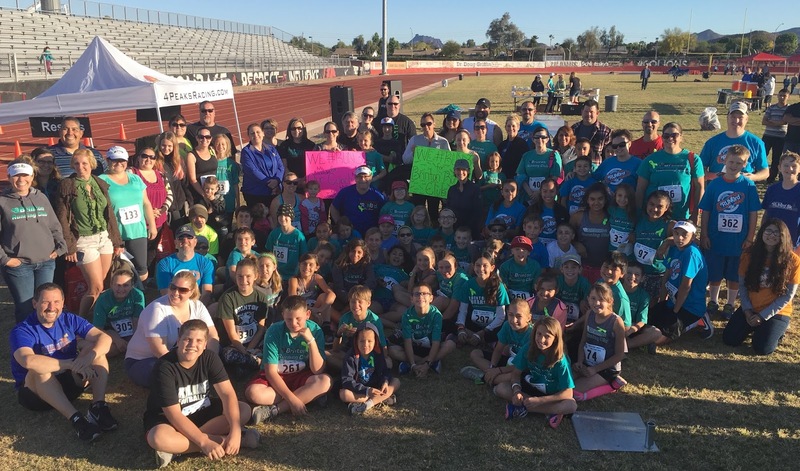 As we pulled up to Red Mountain High School for the 2nd Annual #Run3rd 5k on April 2, 2016, you could feel the energy of the crowd who had come out to participate in this wonderful event. As we worked our way onto the field to pick up our race packet, we were greeted with happy smiling faces, vendor booths, raffle prizes, and most importantly, the school kids. The kids all had their Run3rd shirts on; many had their Run3rd dedications pinned to their backs. You could see their anxious, nervous faces filling with excitement as we got closer to the start of the race. Two and 1/2 years ago, I was diagnosed with Stage 3C Ovarian Cancer. Prior to that I had started walking 5ks on a regular basis, but my surgery, chemo treatments and ongoing recovery put an end to that. I have struggled to get back into walking, but have felt discouraged by not being able to make much progress either in speed or distance. I decided to attend the 2nd annual #Run3rd5K in Mesa, AZ, April 2, 2016, with the idea of supporting others, and walking what I could. I was at peace with this and very happy just to be there. Sharing the event with friends, old and new, is one of the great pleasures of Run3rd! Race day was warm with a clear sky with a light breeze. Participants wrote down or in some way assembled the dedications that they would carry. Green ribbons worn in memory of Anna "Patty Duke" Astin and Mental Health Awareness were pinned on. Beyond Victory: The DNA of an Endurance Everyman. A tough look at the guts, gristle and mechanics of my drive to do more. Ok, that's a bit of a heavy opener, but I've been dragging my heels on posting a race report for my epic Ironman Championship Triathlon in Kona, Hawaii on October 10th, 2015. Why? Well, I've been incredibly focused on the minutia and often esoteric athletic details in my mind and spirit. It will seem silly to many that the impression I give focuses on my feelings about the physical stuff, when I should be happy with having achieved something wonderful regardless of where I "stack up" in the 2000+ field of participants (for the record, at the very bottom—no matter, I FINISHED yaaayyy!!! ), or anyone in the sport for that matter. But in a real way, I want to honor the fact that I've earned my way into a legitimate conversation on the topic, and therefore it does matter to me. So, for those of you interested in wading into the deep recesses of my post race analysis, please understand that I am forever grateful for all of the joy, health and success that I experienced. My desire to offer encouragement to others, particularly those who don't have athletic ambitions beyond perhaps common sense fitness is in no way diminished. In fact, I hope that people at any phase of health in their life can appreciate that I wish to explore my "failings" (of course they aren't actual failures). I shudder to think that sharing any of my "harsh" self analysis might be construed as anything other that a celebration of my limitations and my earnest desire to understand them better. In the final analysis, I will triumphantly return to my more enlightened modality. I trust that I will gracefully transition into a perspective that understands the context of my experience within a broader social and cultural reality. Meaning, most people don't and won't do Triathlons, and I have much more in common with "normal" exercisers than I do with disciplined and regular endurance athletes. It's all relative, and I promise I have no intention of going too far down the rabbit hole and obsessing needlessly about my performance or consigning my future to a more ludicrous ambition than I or my supportive wife and children think is healthy. Without further ado, I hereby stream some consciousness flowing from the first few weeks after becoming an Ironman! On October 10, 2015, I will participate in the Ironman Championship Triathlon in Kona, Hawaii. I will wear the #Run3rd logo all 140.6 miles of the journey. As I swim, cycle and run, the dedications that you all have made and continue to make will come with me. Thank you all so much. I #Run3rd for you. kstevens73 Please #Run3rd for my niece, Mara, who has Downs Syndrome and is on the Autism Spectrum. She turns 13 this month. wendylynnes Please #Run3rd for my strong & incredibly brave Mom who is fighting breast cancer. And all who are fighting breast cancer. carachapel Please #Run3rd for all the poor families and friends of the people killed at Umpqua Community College. Denver, CO (September 30, 2015) –Rudy Project, crafters of the #1 Most-Worn Aero / TT Helmet at the IRONMAN® World Championships for the last four consecutive years, is thrilled to announce a partnership with Kona-bound athlete and world-renowned actor Sean Astin. Already accustomed to identifying himself with the name Rudy, Sean’s leading role as Daniel Ruettiger in the award-winning 1993 film Rudy made him a household name, but today, with the help of Rudy Project, he is using his celebrity status to inspire others with his global #Run3rd® campaign. 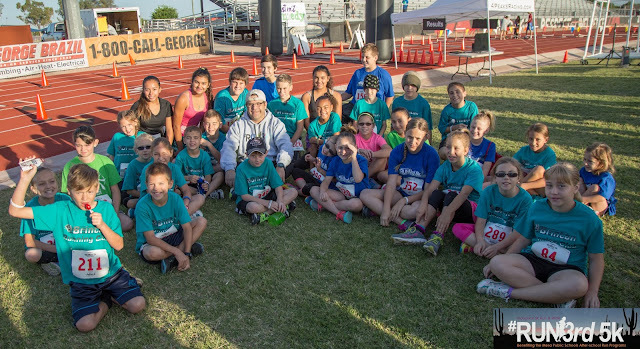 Sean Astin with kids at the Inaugural #Run3rd 5K in Mesa, AZ, April 11, 2015. 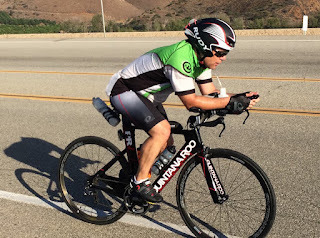 From IRONMAN - "Sean will be in for one of the most challenging yet rewarding experiences of his life! It will inspire people and show them that anything is possible (who better than RUDY!). His background, commitment to competition and eagerness to immerse himself in philanthropic activities makes him a great ambassador for the sport. We are thrilled to welcome Sean into the IRONMAN family in October. "The IRONMAN World Championship is a 140.6-mile swim-bike-run event on October 10, 2015, on the Big Island of Kailua-Kona, Hawaii. The “Super Bowl of Triathlons” will provide Sean a global platform to promote his philanthropic passion. He will be competing among professionals, amateurs and everyday athletes." Soooo, after close consultation with my family, I decided to give it a go. The Ironman organization will donate $25,000 to my #Run3rd charity upon completion of the race. I’ve created this crowdfunding platform to make it easy for people who are watching me pursue this dream help student/runners follow theirs. I’ve set an extremely ambitious goal of $50,000. The fundraising page gofund.me/run3rd explains the basic premise of how I will manage the distribution of the funds.